Do you believe that Jesus has made a difference in your life? I’m totally going to leave that hanging out there while I tell you this story. When I first moved to Atlanta, I was desperate to find Rosarita refried beans. They were by far the best canned refried beans I have had, but I looked everywhere and could not find them. I went to stores all over Atlanta and nobody seemed to carry that brand. Finally, at this out of the way store called Cub Foods that was about 45 minutes away from my apartment they kept some in stock. I drove down there, picked up my refried beans and brought them back. I would make this trip routinely, just for refried beans. After Cassie and I started dating, I decided to make chicken fajitas for dinner for us and wanted the refried beans to go with it, but I had run out of my own stock and drove with Cassie all the way to Cub Foods to get some more. She said to me, “What’s the big deal? They’re all the same.” I tried to convince her otherwise but it wasn’t until she tasted them that she was convinced. “These are the best tasting refried beans I’ve ever had. What kind are these?” I smiled. I’m sure Cassie meant the best tasting ones she’d had out of a can, but it still made me happy. I had opened Cassie’s world up to Rosarita refried beans. It’s not that Cassie was opposed to new things. In fact, those of you who know Cassie or heard her speak before know that she likes to try all sorts of stuff. I tease her all the time and tell people she’s more Japanese than I am. She likes sushi, sashimi, takuan, and even natto. And if you know what natto is, you know how big of a stretch that would be for most people. If you don’t know…it’s better if I don’t tell you. 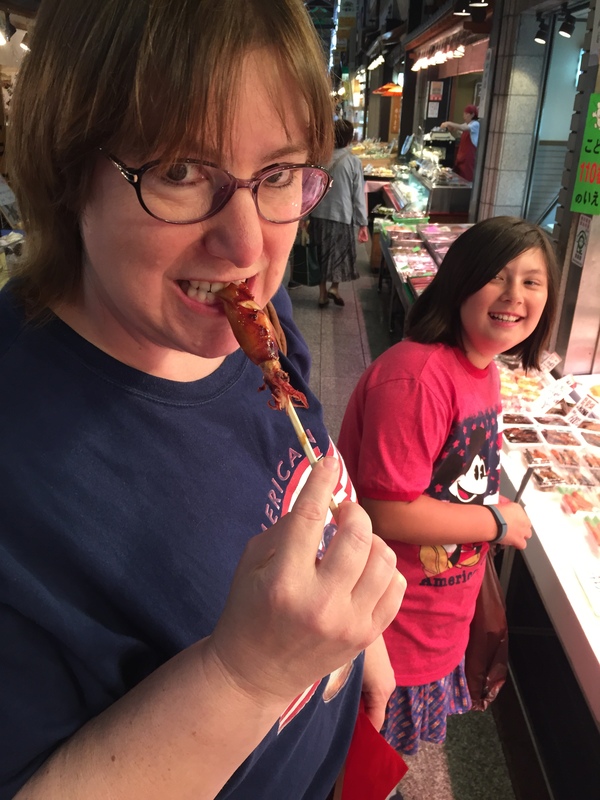 When we went to Japan, Cassie was the only one willing to try baby octopus on a stick! I’m so proud of her. She’s always open to new challenges. So her opinions about refried beans weren’t because she had tried it and found them all to be the same, it was because in her experience, she had never tried anything worthwhile. She had never experienced the difference. But once she had, it changed her mind. Now, of course, having moved to California, Cassie REALLY knows the difference and pretty much doesn’t even go for Rosarita unless she’s desperate. That’s how it is for most people. You form opinions based on your life experiences and if you don’t have experience in something, you don’t know the difference. You don’t know what you don’t know. You don’t know the things you don’t know. When I think about people who don’t know about Christ, it’s this that comes to mind. Whether they are atheist, agnostic, belong to some other religion, or just plain never have thought about it, it’s not because they are so different from those of us who believe. It’s that they don’t know what they don’t know. For them the reality of Christ doesn’t exist. Even for some of us who call ourselves Christian, the reality of Christ does not exist. Tons of Christians all over the world live as if they didn’t know Jesus, so how in the world can we not understand people who don’t believe? There are so many reasons for them not to. Sometimes it’s because they’ve been hurt by the church or by judgmental church members. Sometimes it’s because it doesn’t make sense to them that God exists with so much pain and horror in the world. Sometimes they believe in some kind of higher being, but just don’t buy it that Christ was our savior or that there is only one path to God. All of those are legitimate reasons to question the existence of God. But how are we supposed to figure out the reason they don’t believe? The key is to know their story. The key is to know their story. It’s impossible for us to be effective helping others when we don’t know their story. Our reading this morning will help us with this. So if you have a Bible or a Bible app on your phone, would you please find Colossians 4:2-6. Colossians 4:2-6. When we don’t know why they have drifted away from God or why they don’t believe in the first place, it’s tough to know how to help them experience the love of Christ in a meaningful way. If you bring someone a Big Mac, but what they needed was a glass of water, they might appreciate the Big Mac, but you haven’t quenched their thirst. In fact, with all the salt in a Big Mac, you’ve probably made it worse. But if you took the time to get to know them, to find out what their need was you might have brought them that glass of water they so desperately hoped for. And you could’ve given me the Big Mac instead. Yum. (Although nowadays I only eat a Big Mac maybe once or twice a year). We need to build connections with people on a personal level. We need to know their story. And then we need to pray. What worked in the past doesn’t work any more. At least not if you want to reach people today. In Ed Stetzer’s article on “Reaching Those Over 40… and Under” he noted that there was definitely a generational gap between how these two groups responded to hearing about Jesus, but I think the difference is more than just age. A lot of it is about cultural influence which is why it’s so important to know people’s story, to know the reason whoever you are talking to doesn’t believe in Christ as savior. Because lots of people believe Jesus existed, but if statistics are to be believed at least two-thirds of the world does not believe Jesus was also the Christ. The first reason Ed gave why people don’t believe is because instead they believe that truth is relative. 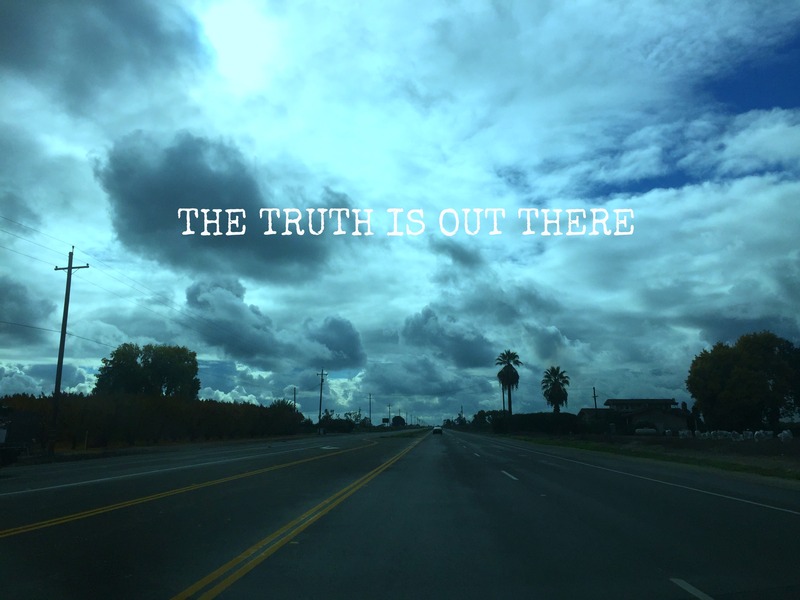 Mulder’s entire quest from the X-Files that “The Truth is Out There” doesn’t hold much weight today. Instead people think that truth is in the eye of the beholder, which has led to what we call universalism, the idea there are many paths to God. Universalism is the idea that there are many paths to God. And that has a lot of attraction for people. It fits in with the concept of a loving God that we talk about all the time. It’s a very simplistic view of God and because it provides the easiest and least resistant pathway to eternal life, people don’t bother to go deeper than the surface. Why bother? Who needs to learn more about God since if there is a God and God loves me anyway he’ll take me to Heaven when I die? And if there isn’t a God why waste my time devoted to something that doesn’t exist? Which leads to the second reason – we live in an increasingly less Christian country. Spirituality seems to be as strong as ever, but there is a growing trend away from Christianity. The number of people who don’t affiliate with any church or religion keeps growing. In just seven years, the number of non-affiliated people went from 16% of the population to 23%. At the same time, the number of people who identified as Christian went down the same percentage – from 78% to 71%. And religious knowledge overall was best known by atheists and agnostics over any Christian group. Sadly, atheists and agnostics also knew more about Christianity and the Bible than every other Christian group other than white evangelicals and Mormons. And overall, no group knew more than 70% of the answers. The culture we have fostered today has a poor understanding of what it means to be Christian and Christians in particular have not spent enough time understanding why people believe in something other than Christianity. We can’t possibly understand or know how to reach people for Christ if we don’t know why they believe what they believe. We also don’t know how to reach a new generation. Ed’s research over the years has led him to believe that how young people relate to Christ today is more personal and less public than in the past. The younger generation is more personal and less public than in the past. That doesn’t mean they don’t like going out in public or that they don’t like sharing their faith, it’s that they are far more likely to come to faith because of a personal relationship with someone rather than being invited to church or to some huge event. Remember when the Billy Graham Crusades were bringing people in by the thousands? Or when events like Promise Keepers would gather together entire stadiums full of people? While you might still get good attendance at something like that, the key to helping someone understand Christ for themselves is still often a conversation with someone they connect with. Some might even be skeptical of these big events, feeling they are too slick, too pre-packaged and less authentic. So what does work? Authenticity. Authenticity is what is needed most today. We live in a very skeptical world and we also live in one where the easiest and quickest path is the one we are most likely to take. The best way for us to introduce the love of Christ into a doubtful nation is to be as authentic in our faith as we can possibly be. I’m not saying we need to be perfect, we just need to point to the one who is. We don’t need to be perfect, we just need to point to the one who is. We need to admit our shortcomings. We need to admit when we don’t know the answers. But we can’t let either of those things hold us back from doing what needs to be done. We need to engage. We need to authentically engage with those around us. Many Christians will say they don’t have anyone to share their faith with, but I know that’s not true. Unless every member of your family believes in Christ AND lives it out, unless every friend of yours practices their faith instead of just saying they do, and unless every person you regularly engage with including the wait staff at your favorite restaurant goes to a church on a regular basis, that’s not true. And if you actually believe everyone in your life has a deep, personal relationship with Christ, you are probably not opening your eyes to the reality of your own world. The key to everything lies in our passage from today. Pray for those who don’t know Christ, who have drifted away, or who don’t see the importance of focusing on their faith. Be watchful for an opportunity to share your faith or invite them into your faith world. And be thankful that Christ is in your life. When we have an attitude of gratitude we become more inviting to those around us. It’s hard for people to see the evidence of Christ in our lives if we are grumpy, cantankerous, or downright difficult to deal with. Pray, be watchful, be thankful. Do you believe Jesus has made a difference in your life? Then make sure you let it show. In the name of the Father and of the Son and of the Holy Spirit. Amen. References to Ed’s work come from “Reaching Those Over 40… and Under” in Outreach magazine, Nov/Dec 2016, pp. 14-16.